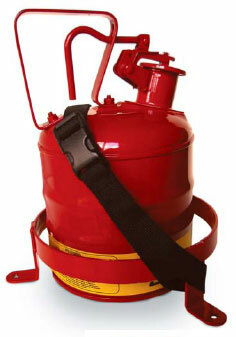 The Oval Safety Can Bracket secures an oval gas can, one 110 oz. can of TruFuel, or any other oval style can. 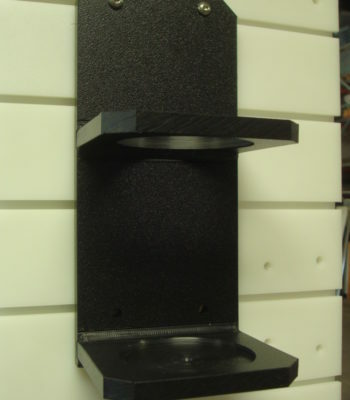 The oval can is 1 gallon HDPE plastic. 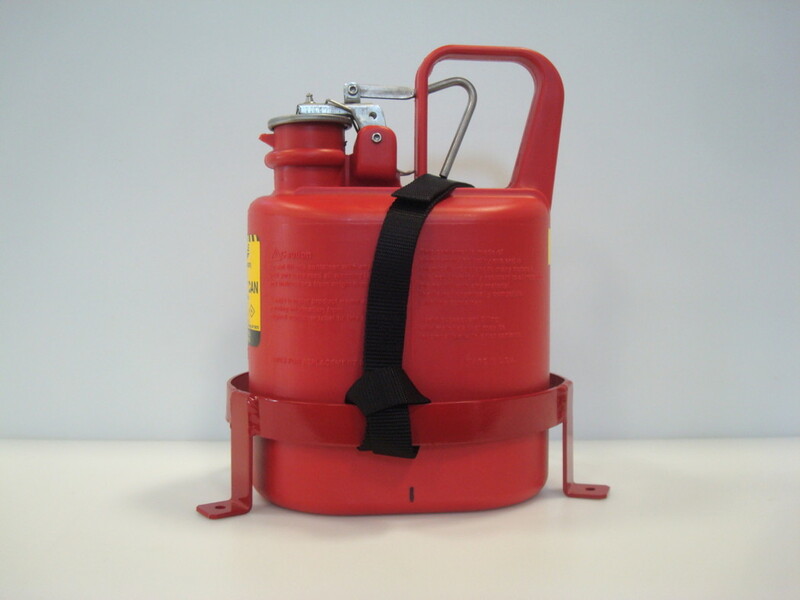 A nylon strap is supplied to secure the can in place. Four mounting holes – one located on each tab.